Activating a feng shui cure in your home can remedy specific issues you face in various areas of your life, such as career, health, wealth, love, and family. For example, to apply a remedy for an afflicted feng shui northwest corner you'll use a metal cure. Some cures are made out of the specific element you need to add to a room, so you get the benefit of the symbol and its element. Some feng shui practitioners also use color as a cure, but color cannot activate an element and acts as a symbol of the respective element. Feng shui element cures or remedies are more correctly called "enhancers," because they enhance the chi energy in your home and help restore proper balance of the five elements. Whenever an element is missing in a sector of your home, it can have a negative impact on the correlating area of your life. The five feng shui elements correlate to specific compass directions. You can activate an element that is missing in a specific sector of your home, or you can use another element to balance an over-active element. For example, if you have too little wood in the southeastern sector of your home, you can suffer from a loss of income and be burdened with additional bills that further strain your resources. This can usually be remedied by activating the correlating element, which is wood for this sector of your home. You can use feng shui to activate the element of fire by using candles and light to improve reputation and gain auspicious recognition and fame. Use feng shui in the southwest corner and northeast sector to activate the element of earth. Activate with crystals, pottery, and ceramic pieces to improve love relationships and education, respectively. In west and northwest corners or sectors, use feng shui to activate the metal element with non-sharp metal objects to enhance your children and mentor sectors, respectively. The element of water supports north sector feng shui. 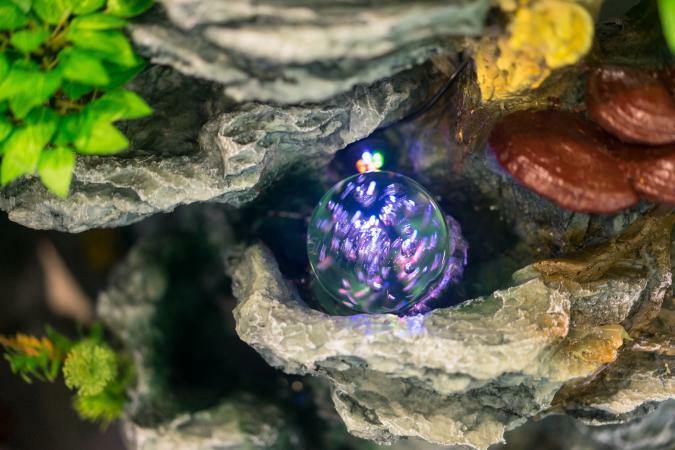 Activate with a water fountain, aquarium, or paintings of water to improve career opportunities. Activate the feng shui energy of the east and southeast sectors by enhancing the wood element. Place wood objects and furniture to enhance health and wealth sectors, respectively. 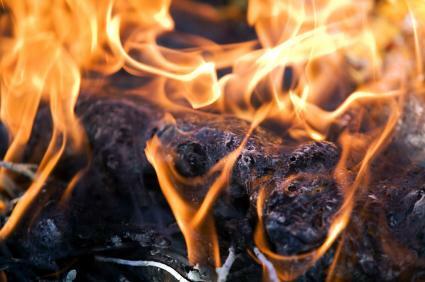 Fire: Wood feeds fire in the south; activate with wood objects and furniture for greater recognition and fame. Earth: Fire feeds earth in the southwest and northeast; activate with candles for greater love relationships and education luck, respectively. Metal: Earth feeds metal in the west and northwest; activate with crystals and ceramics to enhance your children and mentor sectors, respectively. Water: Metal feeds water in the north; add metal objects, candle holders or furniture to improve career opportunities and luck. Wood: Water feeds wood in the east and southeast; activate with a water feature to nourish wood and to enhance health and wealth sectors, respectively. Wealth: Place money frogs, jade plants, or Chinese coins tied with red ribbon in the wealth corner (southeast). Happy marriage: Set a pair of mandarin duck figurines on a bedside table. Career: Add a water feature or painting of a sailboat in the north sector of home or office. Health: Place a wu lo (hourglass-shaped gourd) or crane figurine or painting in the east sector of your home. Fame and recognition: Place bird, horse, or phoenix figurines or paintings in the south sector of your home. There are a few basic feng shui principles that can act as cure-alls for general problem areas. These cures are simple yet powerful remedies to imbalanced chi. Stagnant chi is by far the most common problem in homes. These are easy to remedy with simple but highly effective cures. Take a long look at the layout of each room. Are the natural pathways through your room to the other rooms is blocked with furniture, boxes, or stack of books and papers? Imagine the chi energy moving through your home like water and picture what blocks its flow. Clear the path by rearranging furniture. A six cylinder wind chime can activate and help get the flow of chi energy moving more. Feng shui practitioners believe the circular energy created by the six cylinders is very powerful, providing a nurturing and soothing rhythm. Place in the west or northwest sectors for metal element activation. For help with money, use a wood wind chime in southeast sector. Placing fish in the water activates the positive water element. 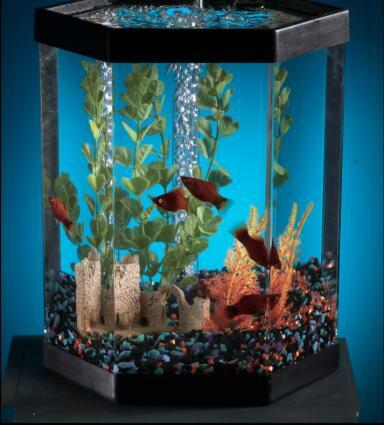 Make sure to maintain the fish tank or aquarium and place it correctly. If the water is stagnant or dirty, it diminishes the chi and adds negative energy to the money corner (southeast). You can also use in the north sector to activate career chi. Use seven red fish and one black fish to further enhance your luck and chi energy. Draw chi: Place outdoor lighting along the driveway to bring positive energy onto your property. Invite chi inside: Set a pair of lights on either side of front door and keep bulbs replaced. Remedy missing corner: Shine landscape light or place a lamppost light where a corner should be, which is good for L-shaped homes and other difficult floor plans. Keep the door of the bathroom closed so the energy stays inside. Place full-length mirror on inside of door to reflect energy back into bathroom. Keep the toilet seat down to prevent chi from being drained. Long narrow hallways: Hang a crystal from the ceiling in the middle of the hallway; add more than one if necessary. Corners: Suspend a crystal directly in front of the protruding corner. Stairways opposite front door: Place a crystal between the bottom of the staircase and the door. It's easy to get carried away with using feng shui symbols and good luck charms. The focus should be on balancing the elements in each sector of your home. Don't add too many elements to a single sector. Too much of an element is worse than not enough. The goal and key to feng shui is to create a balance of yin and yang energies. By understanding feng shui cures, how to activate them, and then incorporating them in problematic areas of your home, you will see a reverse in the negative energies and improvement in those areas of your life.